For only $12.5 you can Buy the IMVU T3DE Pro Version Single user .Extract all textures and 3D files from any IMVU product.imvu t3de pro download instant. 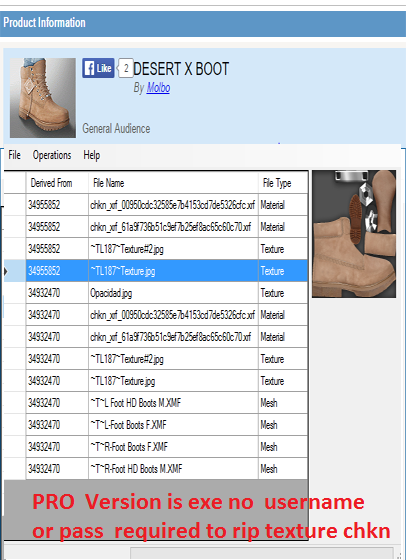 T3DE Pro : IMVU Texture download & 3D Extractor. The original and BEST IMVU texture and 3D mesh extractor ever made. It is a powerful tool that will allow you to grow as a designer. $12.5 T3de can edit item Visible in catlog including pro creator. No hidden item tho! Email [email protected] if you want to buy it mention your imvu id so we can get back to you on imvu.